Dreams Really Do Come True with Genuine Vision Seeds! For nearly 10 years, Vision Seeds has satisfied the Dutch Cannabis Community’s every want, need & desire. Along the way, they’ve accumulated an exceptional level of knowledge & experience along with the absolute best gene pool on the planet. Take full advantage of all that hard work with fail-proof cannabis seeds! Dream Big with Legendary Vision Seeds - Order Now! 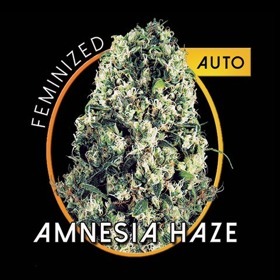 Amnesia Haze Auto beats most photoperiod strains hands-down. She's faster, she's stronger & she's a higher yielder. 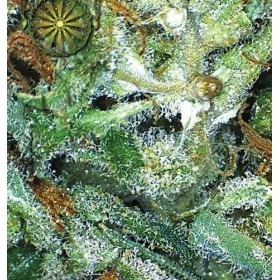 You'll love this Sativa! Concentrated Fruit Flavour in 56 Days! On average, it only takes Blueberry Bliss Auto 56 days to do her thing with brilliant blue tones, 160 gr/m2 yields & thoroughly satisfying power. Packed with layer upon layer of sparkling crystals, Crystal Queen is the gem of the Vision Seeds kingdom delivering the absolute best in both quality & quantity. 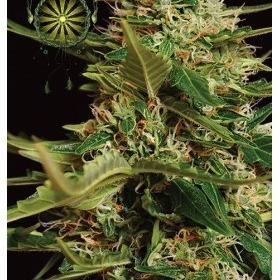 Top Quality, Low Prices, 100% Feminized – It’s a Vision Seeds Triple Play! Like most success stories, Vision Seeds started small and grew as they gained experience. When they first opened the doors of their Dutch cannabis seed shop in 1995, they were a simple reseller with one big difference – Vision Seeds always tried before they sold to ensure top quality. This little step (that many others skip) is what Vision Seeds is all about. After evaluating hundreds of strains, this high-minded crew learned every facet of the cannabis seed trade including everything from basic genetics to the best overall smoke experience. Plus, they understand that the average stoner isn’t made of money. The Vision Seeds mantra is quality seeds at a fair price every single time! What started with a dream has culminated into the best collection of proven, 100% feminized seeds that today’s market has to offer. If you’re looking for a strain with a successful track record and a 5-star standing with every major cannabis publication, go with authentic Vision Seeds! 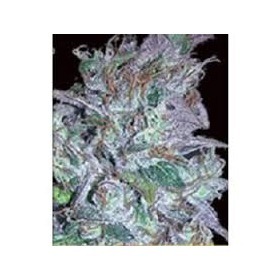 The Vision Seeds’ brand includes an impressive array of traditional feminized seeds as well as the most advanced, fully autoflowering strains. And, you’ll instantly recognize each and every name in this stunning collection. Whether you’re ready to get your fingers sticky with super-resinous White Widow, experience the total & complete intoxication of Indica-dominant Super Skunk or discover the ultimate in simplicity with turbo-charged AK-49 Auto, Vision Seeds delivers total & utter satisfaction fully encased in an elegant, 100% feminized cannabis seed. Don’t Miss This Chance to Own a Bona Fide Legend - Order Your Vision Seeds Today!